Corey Jones was a drummer for his Florida church and he was on his way home from a band performance when he was shot and killed by a police officer. Now his family and friends are demanding answers. Jones was traveling home on Interstate 95 when his car broke down. His band mate stopped to help him try to restart the car, but eventually the two young men called for roadside assistance. The band mate headed home and left Jones to wait for assistance. Just minutes later, the drummer was killed. Jones was an active member of the Bible Church of God in Boynton Beach and a graduate of the University of Akron in Ohio with double degrees in music and business administration. He volunteered as a mentor to African American teens at My Brother’s Keeper, a program pioneered by President Barack Obama to help keep kids off the streets. Since the shooting, there has been an outcry of rage from the community where Jones was truly loved and admired. Police refuse to reveal what kind of weapon Jones was carrying, but records show he had a license and permit to carry a firearm. Friends and family insist that Jones would have never pulled a gun on a police officer. Fellow band mate Matthew Huntsberger were stunned to hear that Jones was dead, less than an hour after he left him waiting on roadside assistance beside his car. “He was like a really peaceful guy. There’s no way he had a gun. We’re all musicians and stuff. We’re not violent people,” Huntsberger said. Jones’ family agreed that the police department’s story just doesn’t add up. “Corey would never pull out a gun on anyone, and never on an officer,” his aunt said. Of course, some are speculating that Jones did not know that Raja was a police officer since he was wearing regular clothes and driving an unmarked car. Raja only recently transferred to the Palm Beach Gardens Police Department in April. Of course he wasn’t wearing a body camera on the night of the shooting and none of the local police cars are equipped with dashboard cameras. For now, Raja has been placed on suspension pending an investigation. The drummer’s friends and family gathered together for a prayer service on Monday night and they will gather for a rally outside of the Police Department on Thursday morning. The entire community is lending their support to Jones’ family and the police department is taking a lot of heat over the shooting. Corey Jones is the 948th person to be killed by a police officer in the United States this year. The numbers of wrongful deaths at the hands of police officers is rising and it’s time for it to stop. In situations like these, families and friends should seek the help of a Tampa wrongful death attorney. When a legal battle is imminent and loved ones are grieving the loss of a friend and family member, a wrongful death attorney in Tampa can step in and make sure that families receive the compensation they deserve after a tragedy. Contact the most trusted wrongful death attorney in Tampa today at 1-800-225-5564. Prior to 2010, the IRS was an agency everyone feared because it had so many resources at its disposal, but even this powerful and important agency wasn’t able to escape government budget cuts. Five years worth of steady budget cutting has resulted in the IRS trying to get by on a total budget that’s been reduced by $1.2 billion, which has led to the termination of more than 13,000 full time jobs. The two most significant ways the budget cuts impact tax payers is a decrease in IRS customer service and a the elimination of more than 46,000 audits. With fewer IRS employees, some American taxpayers intend to take advantage of the opportunity and ignore their tax obligations. In fact, for individuals who owe less than $1 million, some speculate it could be years before the IRS even notices the bill was never paid. The movers and shakers inside the IRS aren’t happy. They’ve been very vocal in their belief that the decline in audits encourages individual tax payers to cheat on their forms. Many feel that the amount of money that won’t get accounted for during the 2015 tax collection could add up to $2 billion, and the loss of that money will bring about even more budget cutting. While tax fraud and cheating is the primary concern of the IRS, they are also concerned that the additional losses will come from people who want to be honest on their tax forms, but are no longer able to get the answers to questions which will lead to accidental, but costly errors when they file their taxes in 2016. If you have a question about how to file your taxes, you should be prepared to call the IRS repeatedly before you reach an actual representative. It’s estimated that as many as 60% of all calls won’t even get answered. In 2011, the odds of you getting audited by the IRS if you earned between $25,000-$49,999 was 0.72%. While the odds of facing an audit might have gone down, if you are one of the unlucky few that gets contacted by the IRS, you should brace yourself. The budget cuts mean that the agency is getting desperate and they will most likely approach each case with a level of aggression that has never been experienced before, which means it’s in your best interest to contact an experienced tax audit attorney right away. The tax audit attorney will act as a buffer between you and the IRS. They’ll make sure that the IRS doesn’t violate any of your civil rights, that they don’t make any illegal seizures of your property, and that all the details of your case are in order. 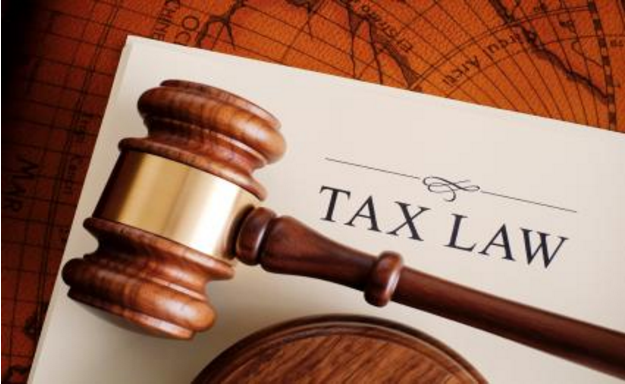 The most important thing that the tax audit attorney does is help you navigate through the twisty tax laws that are often difficult to comprehend. Don’t try to face the IRS in 2016 alone. If you have problems with your return or fear an audit is in your future, contact a qualified tax audit attorney today.